"There's no disaster that can't become a blessing, and no blessing that can't become disaster." Hola there!. Another week another book review. 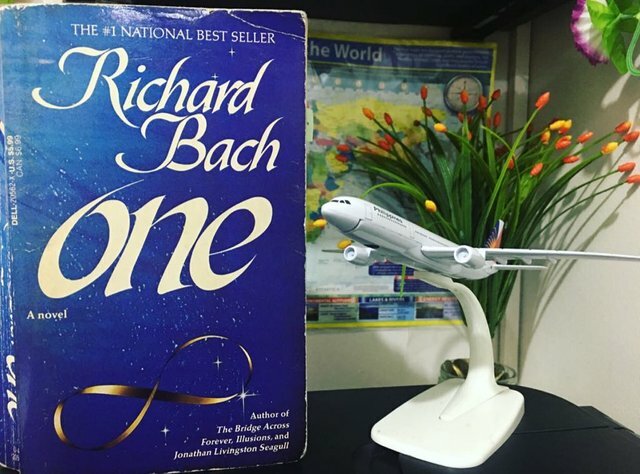 Ok lately I've been reading a lot and just recently I've finished reading One by Richard Bach so today I'm gonna share what's my view towards the book and the things I learned. 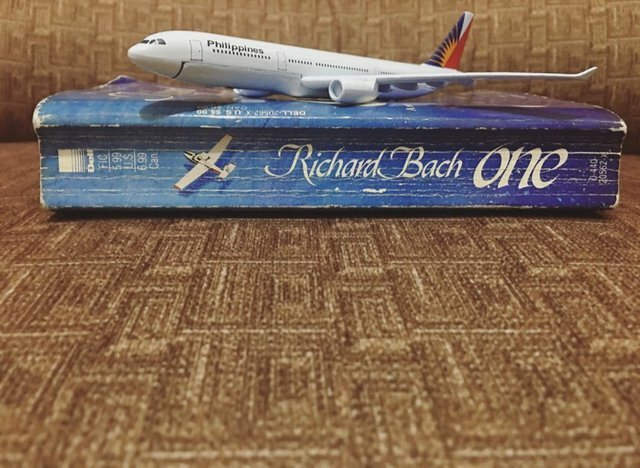 Richard Bach and Leslie Bach flew to LA to attend an important matter but in their way there things get complicated and weird. A minute ago they are inside the plane but now they find themselves in a different place. They are now in a different realm, a new dimension they didn't know exist but in this world they are not humans instead they are like ghosts that are roaming around and only certain people can see and talk to them. As they try to fix things and go back to where they belong they encounter many things such as people that can bend their beliefs in life. Through those people they have saw the other angle of themselves. After what they experience in their journey do you think that they would be the same? or would they be back in their world as if nothing happened at all. Once in our life we have this book that have a very a big impact to you and this book is one of mine. Yet sometimes the story is kinda confusing on which persona is the one whose telling the story. This book talks about the reality of life in an creative way. It shows a lot of aspects in life through your different choices. The consequence in every action that you take and how it affects the world and other people. Just like Leslie said in the book life is just like a television with a lot of different channels. If you just stay in one channel you wouldn't know that there are a lot more movies that you can possibly watch but if you keep changing the channel you will see that there's more than one production it offers. Well all in all this book is an eye opener, very motivational and so powerful. I love this book and just the whole story of it. I learned a lot of things about the reality of life.